Airmen in the Operations Intelligence field have a host of important responsibilities. It's up to them to oversee intelligence gathering initiatives and to manage, develop and evaluate intelligence information that's collected. In many cases, this means interpreting raw data and understanding its significance, sometimes in combat situations. Understanding and analyzing how significant an adversary's threat systems might be is a big part of this role, as is assessing the U.S. military's capabilities and potential vulnerabilities. This work is crucial for the Air Force and Army to evaluate enemy positions and capabilities, and determine troop deployments and mission parameters. This job is categorized as Air Force Specialty Code (AFSC) 1N0X1. In addition to managing intelligence functions, these airmen conduct intelligence training and instruct aircrews on collecting and reporting requirements and procedures. 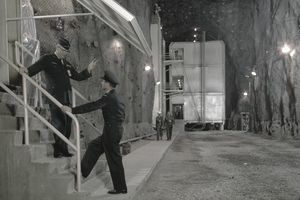 These procedures cover everything from evasion and recovery to and code of conduct and recognition techniques. They'll prepare mission reports and conduct debriefing sessions of U.S. military and allied forces involved in combat operations. First, you'll take the requisite 7.5 weeks of basic training, and Airmen's Week. Next will be 110 days of technical school training at Goodfellow Air Force Base in San Angelo, Texas. Completion of a basic operations intelligence course is mandatory. If you become part of Air Force intelligence, you'll be instructed in how to collect and evaluate information, become familiar with other countries' geography and culture, and learn potential enemies' military capabilities and defensive weapons systems. The Air Force has procedures for updating maps based on intelligence information, which you'll learn thoroughly; you'll also become acquainted with methods of verifying intelligence based on imagery and radar. You'll need a high school diploma or its equivalent to be eligible for this job. Ideally, your high school transcript will be well-rounded and include courses in speech, journalism, geography, modern world history, statistics, algebra, geometry, and trigonometry. Also, you'll need a score of at least 57 in the general (G) qualification area of the Armed Services Vocational Aptitude Battery (ASVAB) tests. Airmen in this job have to qualify for a top secret security clearance from the Department of Defense, which involves a background check of finances and character. Drug and alcohol offenses may be disqualifying. You must be a U.S. citizen to serve in this AFSC. Recruits seeking a job in Air Force intelligence will take a polygraph test, and must be free of any speech disorders or other communications deficiencies. Normal color vision, meaning no colorblindness, is also required.